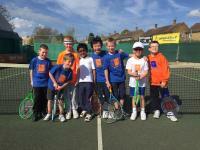 The Appeti Tennis Centre offers tennis coaching for both children and adults alike. We are an open access venue where anyone can come along to play. We can coach beginners right through to world ranked players. During the school holidays we run additional activities for 4 to 16 year olds. If you would like to know more then please get in touch! Please give us a call for more information about our coaching and court hire prices.